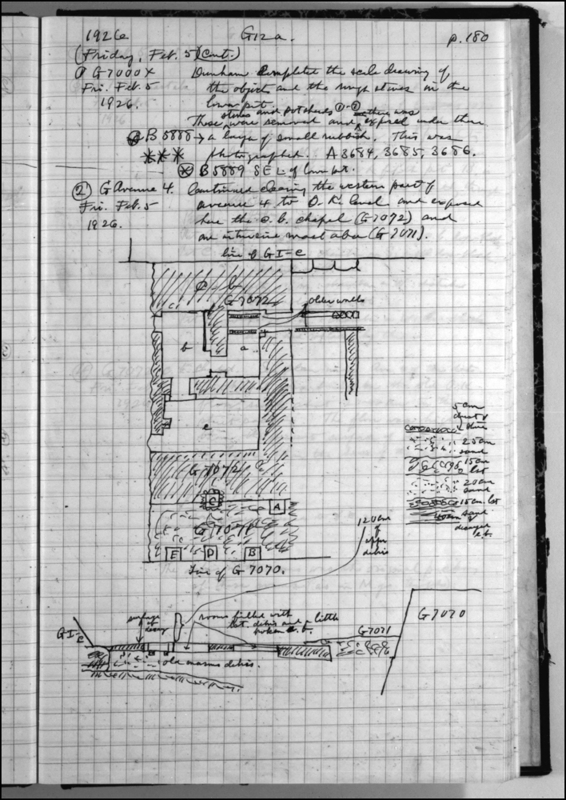 Dunham completed the scale drawing of the objects and the rough stones in the lower pit. These stones and potsherds [Nos.] 1 - 7 were removed and there was exposed under these a layer of small rubbish. *B5889: southeast of lower pit. Continued clearing the western part of Avenue G 4 to Old Kingdom level and exposed here the crude brick chapel (G 7072) and an interior mastaba (G 7071).